The country that holds the world record for the largest ever serving of hummus takes its food seriously indeed – and nowhere is this more evident than in Beirut. Restaurants across the capital serve up everything from classy French dishes to dizzying platters of mezze, via Italian, Sri Lankan and Japanese cuisines. And in a city where fast food is a culinary art in its own right, it would be a crime not drop in for a late-night kafta at Al Falamanki or a dripping sujuk sandwich at Tabliyit Massaad. 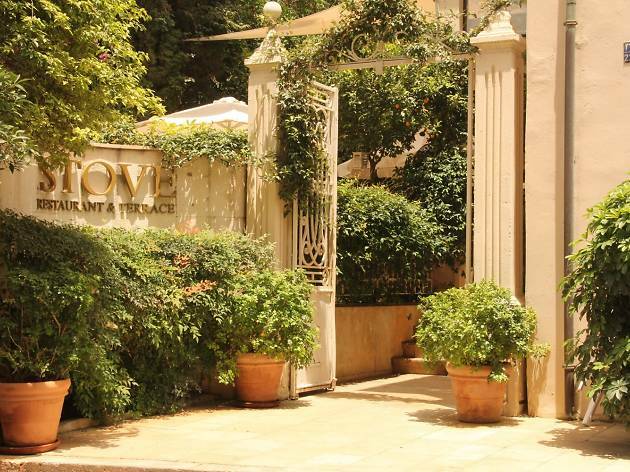 To simplify your life, we’ve singled out the 20 best restaurants in Beirut, ensuring that the full breadth of its astonishing dining scene is represented. Happy feasting. Al Falamanki is Lebanese dining. It serves every type of mezze you could ever think of and more, as well as grills and oven-baked dishes. 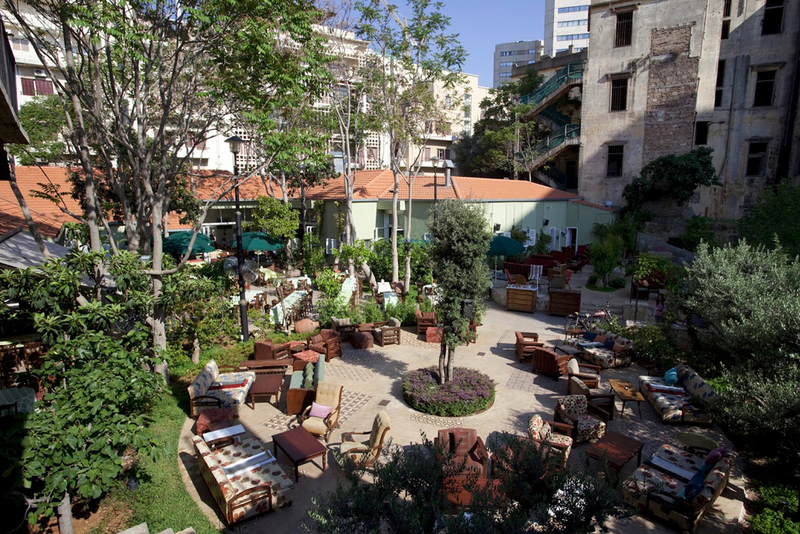 But it’s not just a spot for food: there are always plenty of people enjoying nargileh with friends and a few coffees or drinks.The venue is capacious, but the best spot is the terrace. The beautiful garden surroundings are a blessing in a city where you can walk for miles without seeing a single tree. On a warm summer evening, dinner among the trees is a blissfully peaceful experience, even when the restaurant is packed — which it generally is. What's more, it's open 24hrs a day; so next time you wake up at 2am craving some kafta with tahina, this should be your first port of call. 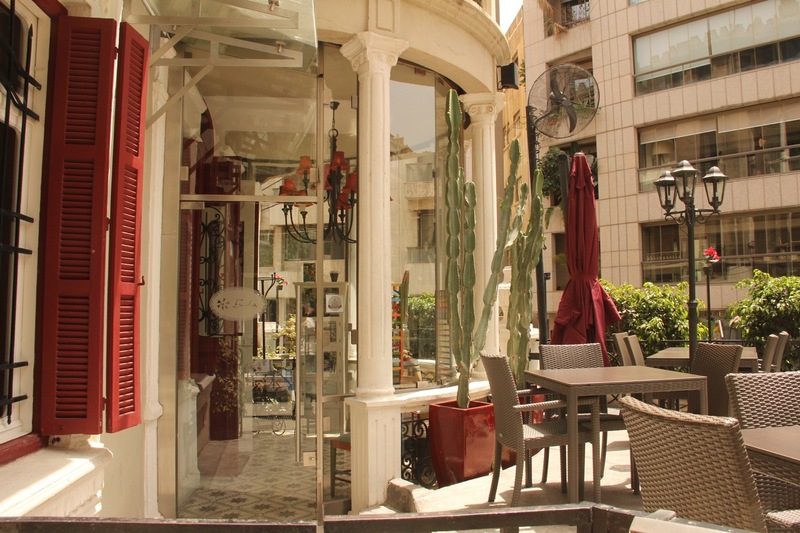 Located in quiet Achrafieh, Al Mayass serves a delightful selection of Lebanese, Armenian and Syrian dishes in a homely environment. The lunch menu is particularly good: for just $25 (LL38,000) you can choose three dishes from an impressive selection of salads and meat dishes. The dinner menu – distinctly pricier – proffers a varied selection of mezze both hot and cold, classic (a dizzying variety of hummus-based sides) and unfamiliar (grape leaves wrapped with rice and vegetables). Since our visit, nary a day has passed when we haven't daydreamed of another helping of basterma, their delectable Armenian pastrami. A gem. 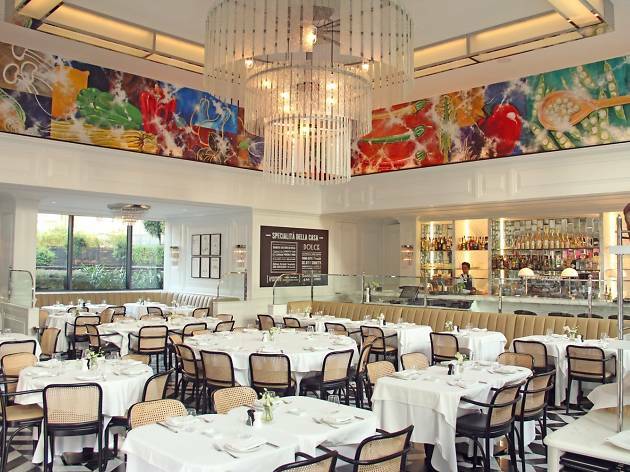 This affable restaurant is one of the best places for Italian cuisine in the city. 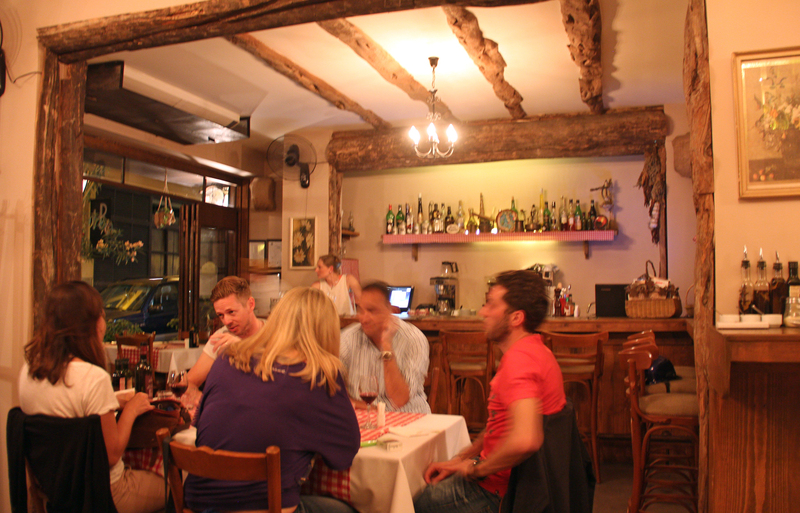 The venue has a cosy, slightly ramshackle quality – fulfilling the promise of the "trattoria" in the name. 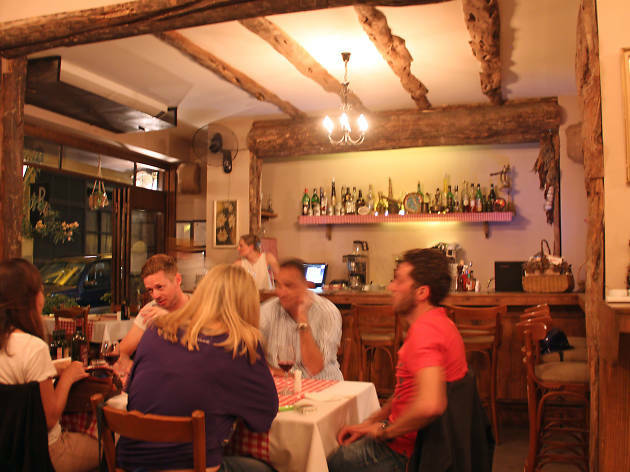 All the hallmarks of the traditional Italian eaterie are present and correct, from red and white chequered tablecloths to the paintings of the Tuscan countryside that adorn the walls. The menu is packed with genuine Italian "soul food", prepared freshly and authentically. Alongside the usual suspects (pizzas, linguini), the menu throws up some less classic dishes – leave space for the quirky pizza di mele, a sort of cross between a pizza and a tarte tatin. We're fans. 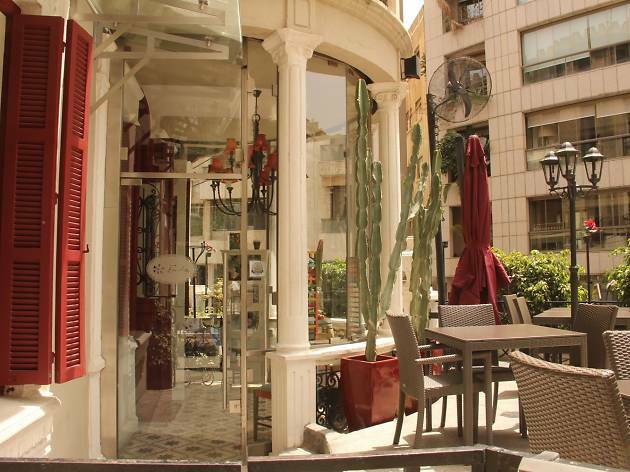 In the back alleys of Hamra, set off from the street by a cute hedgerow, stands the quaint eaterie of Bagatelle. 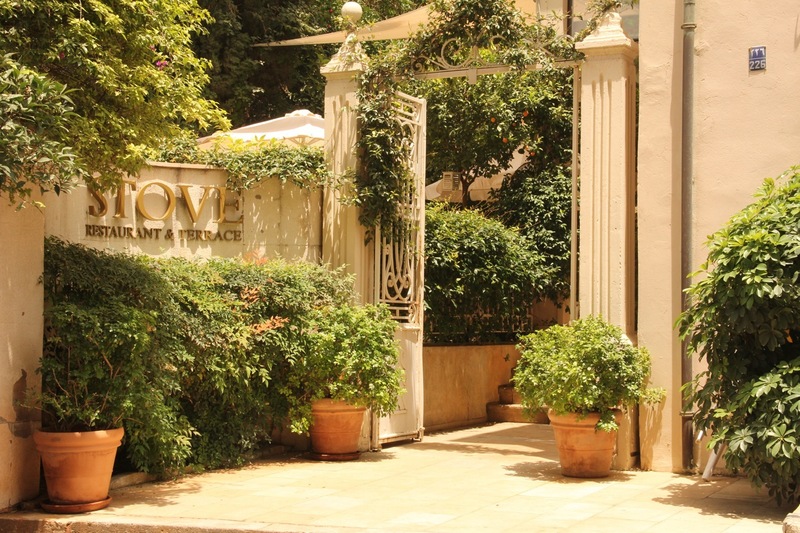 The restaurant is housed insdie a tastefully renovated villa dating back to the 1920s – which already distinguishes it in a city that's known its share of destruction over the past century. Inside, the furnishings are a mix of quirky vintage (hello, Salvador Dali wine fridge) and the inoffensively modern (sleek padded purple benches); but the stone masonry speaks to the house's age. 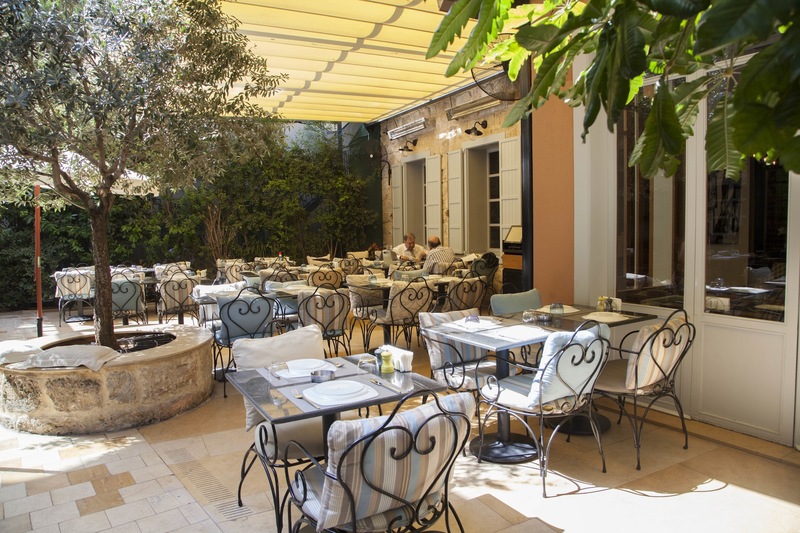 The cuisine goes for that brand of Mediterranean fusion so popular in Beirut – salads, pizza, risotto, capped with a wine list to match the vaguely French ambience – but it's done with more imagination than yer average bistro. Highly recommended. 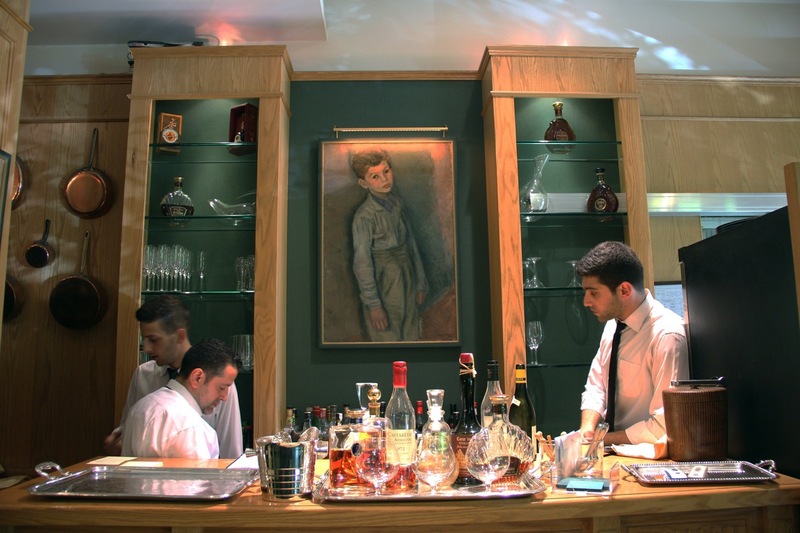 French expats constitute a vocal sector of Beirut's population, and their gastronomic demands can't go unheeded. That's where snazzy joints like Chez Jean-Claude come in. 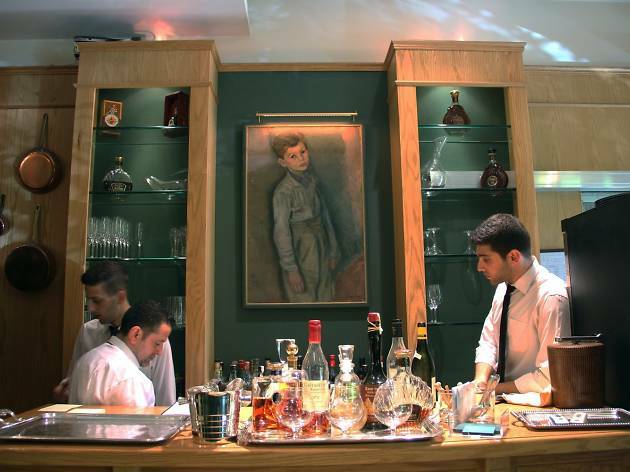 Small but not claustrophobic, refined without being intimidatingly chic, the restaurant oozes the sort of effortless gastronomic class that the French specialise in. Come here if you want a sense of occasion: the food is several notches above the average (try the filet de boeuf), the prices are accordingly elevated, and the intimate setting (only 20 chairs on our count) only adds to the sense of exclusivity. The decor flourishes – wood pannelling, bookshelves crammed with Proust and Zola – complete the picture: you'd be forgiven for thinking you'd stumbled into a mealtime scene from a comedy of manners by Jean Renoir. 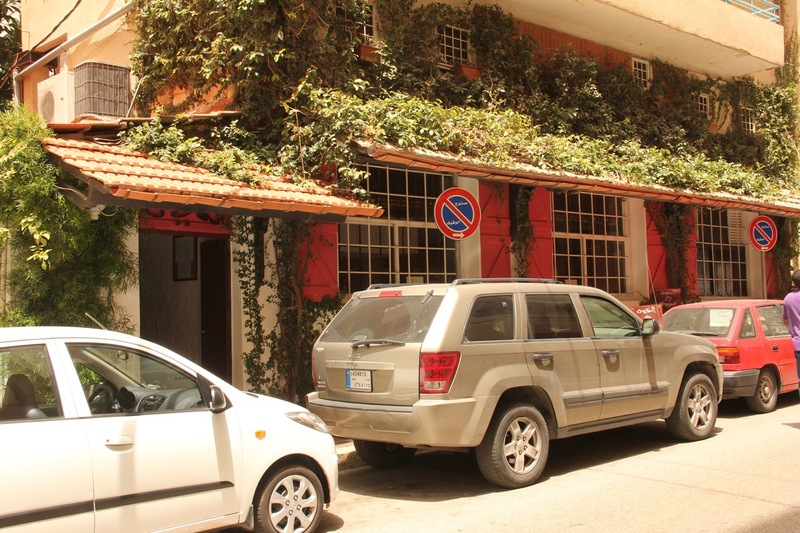 Downtown is where Beirutis come to do their fine dining – so leave your shawarma fantasies at the door. This neighbourhood is all about multiple sets of cutlery, pristine tablecloths and obsequious table service. 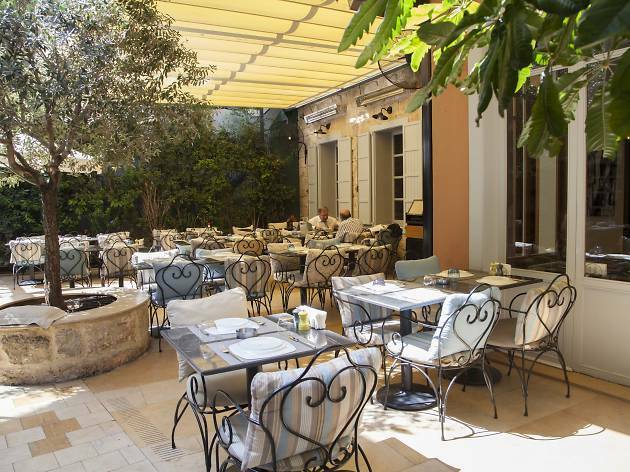 Cucina is a perfect examplar of this swanky culinary scene: it's as modern and stylish as any of its neighbours, though in contrast to their mostly international orientation its cuisine is strictly Italian. The menu is packed with hearty home recipes such as the gamberi con quinoa rossa (shrimp and red quinoa to you or me) and the scaloppine alla Milanese. 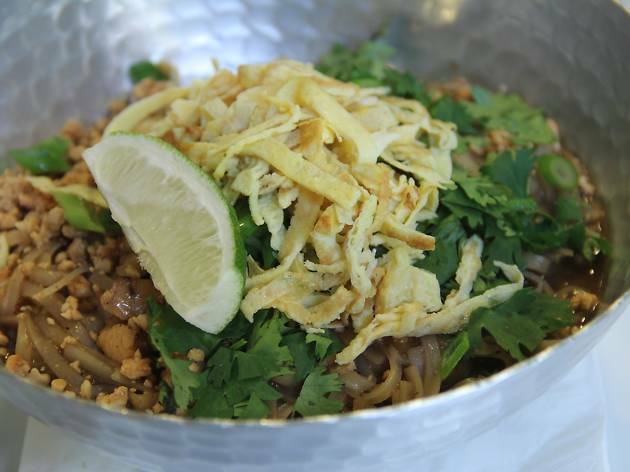 Alongside these you’ll find the usual variety of pastas, risottos, salads and pizzas. 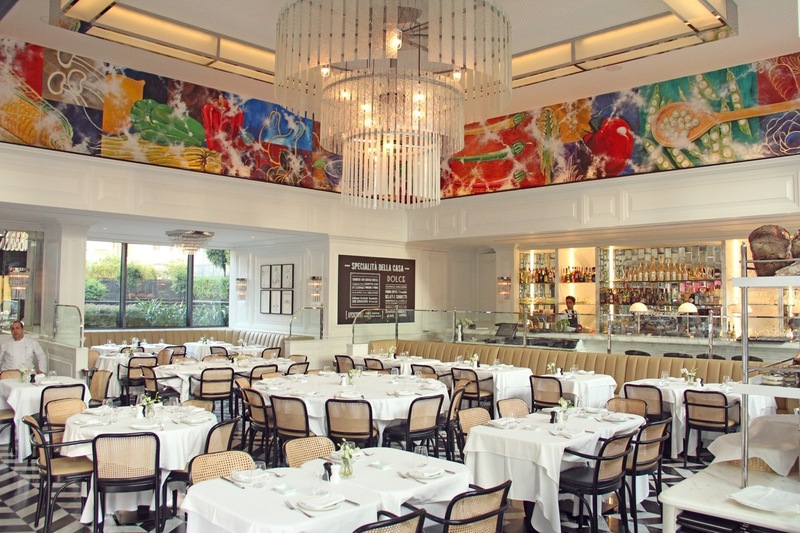 Oh, and do let the classy setting fool you: Cucina's prices match the service. An offshoot of its considerably larger Dbayeh cousin, the Achrafieh branch of Goûtons Voir replicates the other venue's yuppie-baiting marriage of quality cuisine, pared-down decor and quirky hipster touches (exhibit A: the beret-sporting baguette mascot). If the aesthetic allows the kitchen to get away with smaller portions than the prices would suggest, then at least your bill will be justified by the quality of the Franco-centric dishes (think steak, salads, risottos). As a bonus, the attentive staff know their wines. 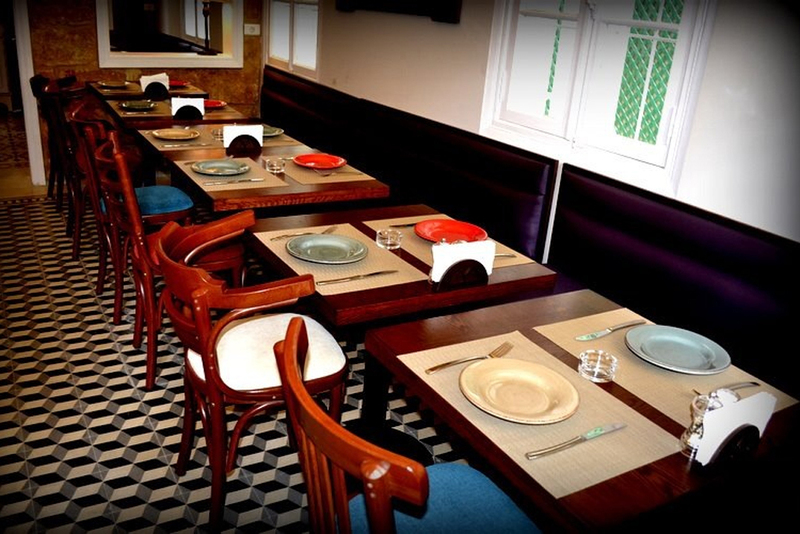 Cosier and more intimate than the Dbayeh branch, this is one of our favourite spots in the city for a light meal. 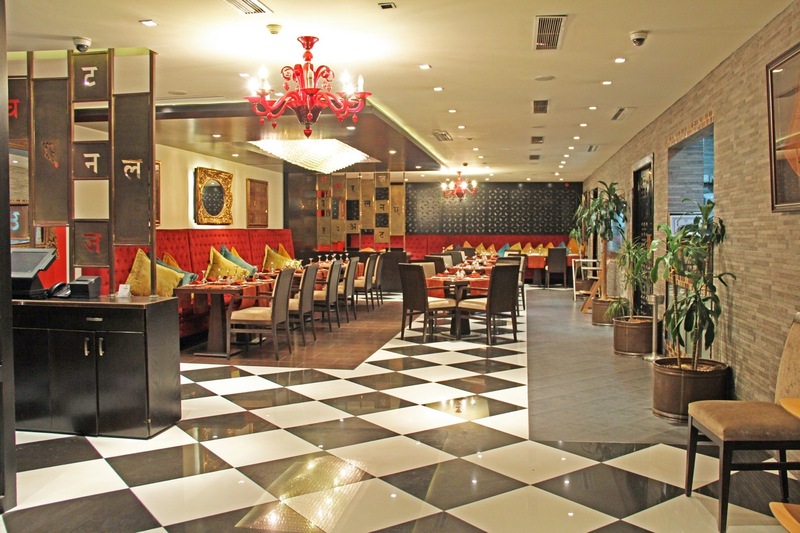 Nestled away among a jumble of Ottoman and French colonial buildings in Kantari, this remarkable pan-Asian restaurant strikes as eclectic a note in its kitchen as the architecture that surrounds it. 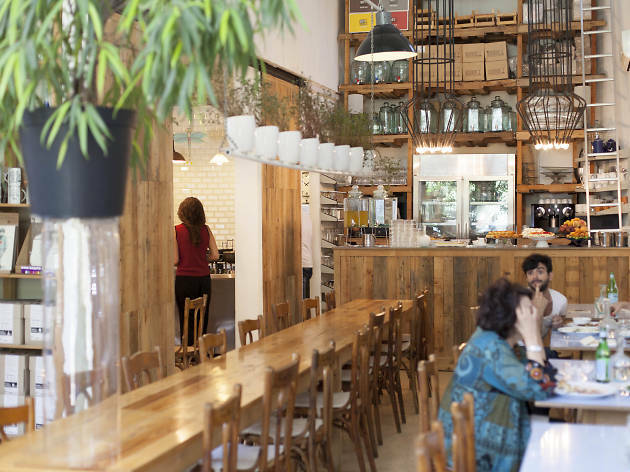 Jaï mainly operates as a takeaway and catering service, but does have a cosy seating area for visitors. The operative word is cosy: there is only one table, but it’s a table worth occupying. Not just for the smug sense of achievement you get from monopolising the kitchen's attention, but also for the impeccable food that it serves up. 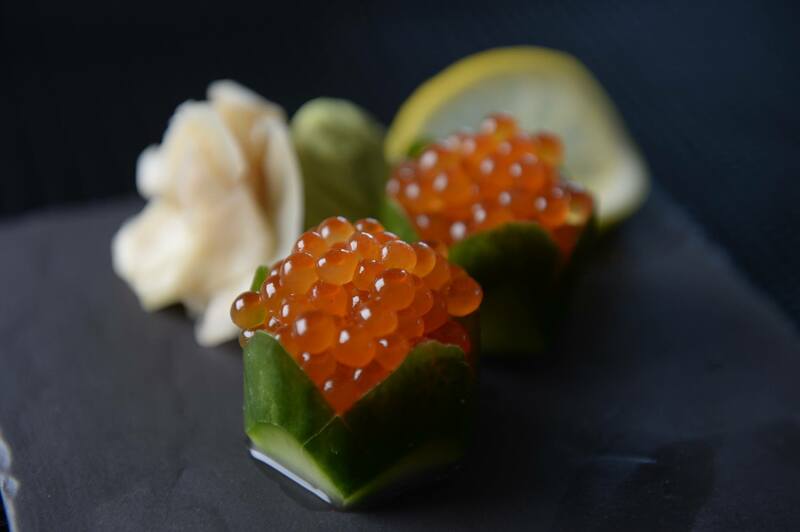 Chef and owner Wael Lazkani used to work in high-end restaurants in Britain, before embarking on extensive travels across Asia and eventually bringing his knowledge back to Beirut. 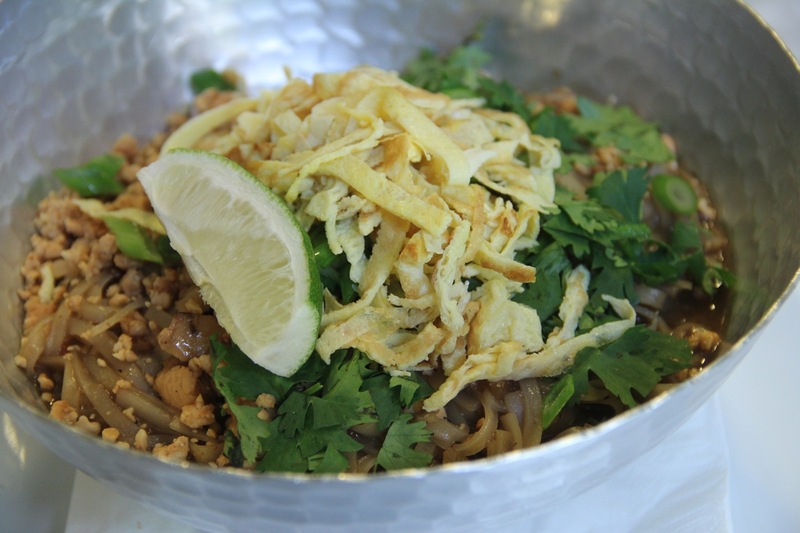 The upshot is that his kitchen is equally adept in Chinese, Japanese and Indian dishes. Jaï understands that variety is the spice of life, but doesn't scrimp on the other spices either. 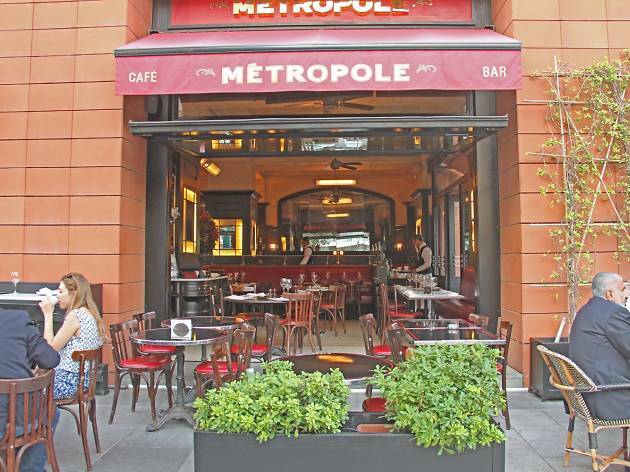 Metropole is one of the many upmarket restaurants that you’ll find in the swanky Downtown district. 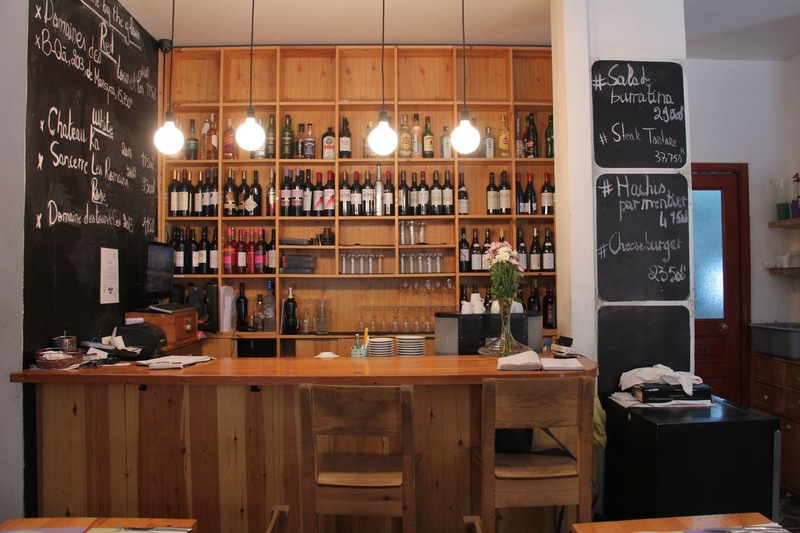 It's the sort of place where discerning locals with means and homesick French expats come for a lazy lunch over a bottle of wine – we mean that as a compliment. 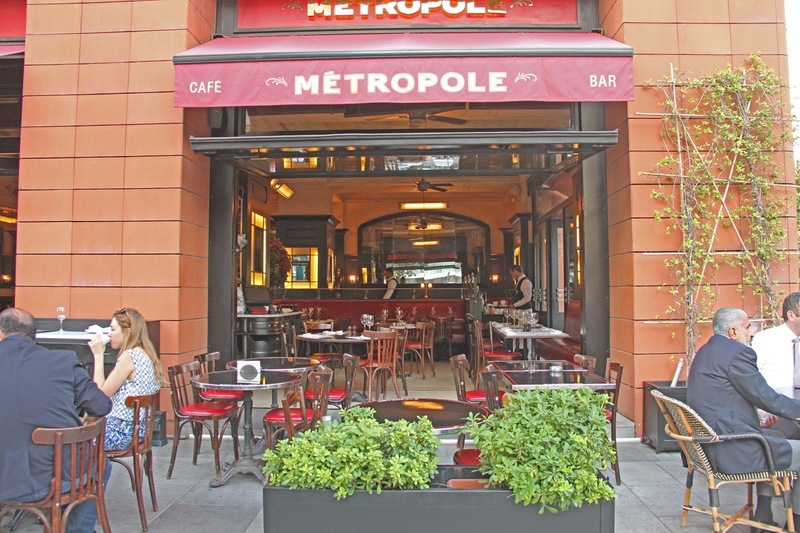 The restaurant does a very good impression of a traditional Parisian brasserie, complete with succulent steaks, salads bigger than you could shake a fourchette at, and somewhat erratic service (the only real bum note). The sole giveaway sign that you're abroad is the modest addition of a few "international" dishes: risotto, sundaes, that sort of thing (but prepared with no less attention to detail than the rest of the menu). Thumbs up. 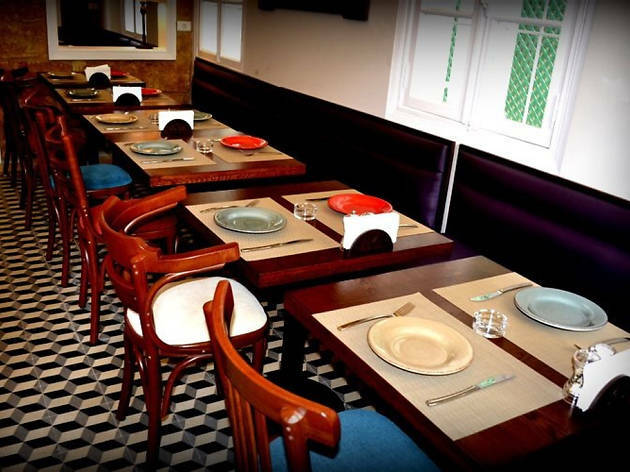 At Moti Mahal Delux, the Beirut branch of the global curry empire, you can fire up your belly with an excellent tandoori while feeling the cool sea breeze on your face. The restaurant occupies a commanding sea-facing location on Zaitunay Bay; the venue itself is decked out in suitably grandiose, verging on gaudy, reds and golds and faux-velvet textures. The setting is the USP here, but the curries are generally excellent – a satisfying balance of traditional recipes and modern embellishments. The service is unassuming and professional, as befits a chain. The ingredients aren't the only fresh thing about Mótto. 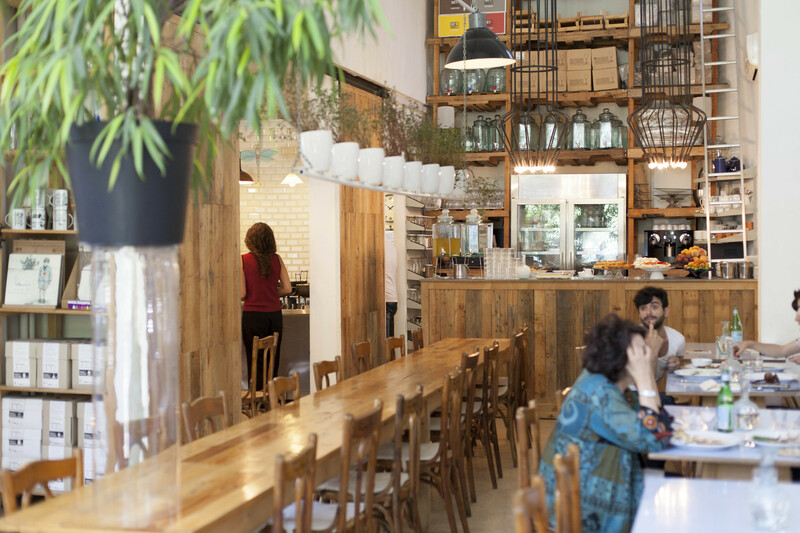 This quirky restaurant on Madrid Street has a bracingly open-ended take on dining: there is no fixed menu, and which country's cuisine you'll be eating depends on which of a rotating band of chefs is in the kitchen that day. 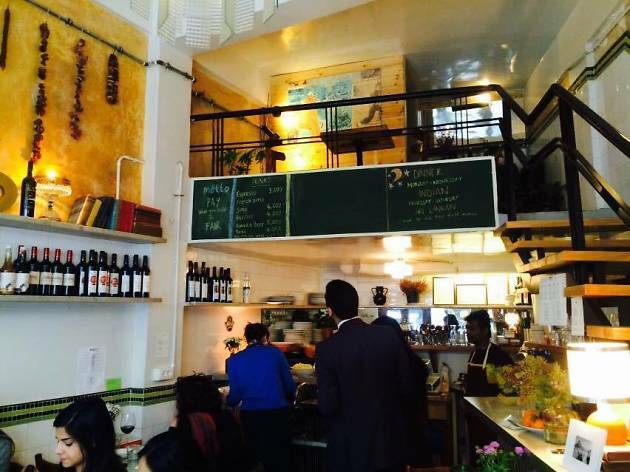 In the past we’ve been served up Sri Lankan, Ethiopian and French (though the lunch menu is centred on Lebanese fare). This freeform approach extends to the pricing: namely, there isn't any, and you pay what you think is fair. That the restaurant is still in business bodes well. Call ahead if you're apprehensive about which contents your tastebuds will be sent to. In fact, call ahead even if you're not: booking is a must. New Indo-Lanka is the one of the hidden gems of Dora. 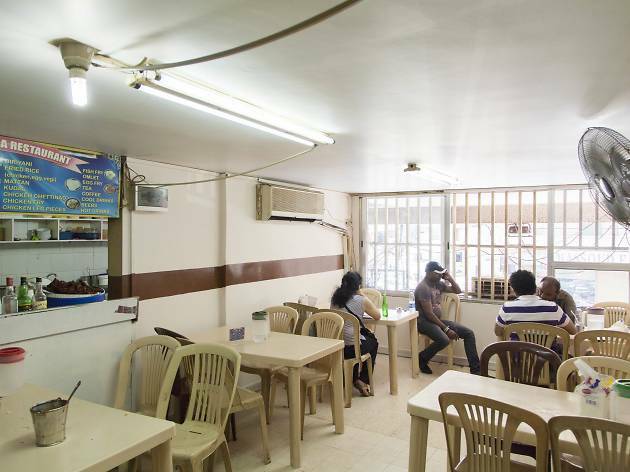 Housed above a Sri Lankan supermarket of the same name just off Dora roundabout, it's essentially a kitchen serving traditional Sri Lankan grub to a mixed clientele of migrant workers and intrepid tourists.There's a variety of dishes on offer. If your knowledge of Sri Lankan cooking is limited, the best course of action is to order some chicken and vegetable rice (which come with tangy masala sauces), then name a meat that you enjoy. The friendly waiters will take care of the rest. We've never been disappointed, though our most memorable meal here was centred on a portion of deep-fried chicken so crispy that we were fleetingly worried it would puncture our tongues.The venue can generously be described as casual – we're talking minimal decor and plastic crockery – but the atmosphere is infectiously fun. New Indo-Lanka's strengths lie in the food and the company, and it knows it. But far from capitalising on its rep for lip-smacking Sri Lankan cuisine, the restaurant is one of the most reasonably priced in the city. That feast you just ate, with drinks, won't set you back more than LL20,000 per person. 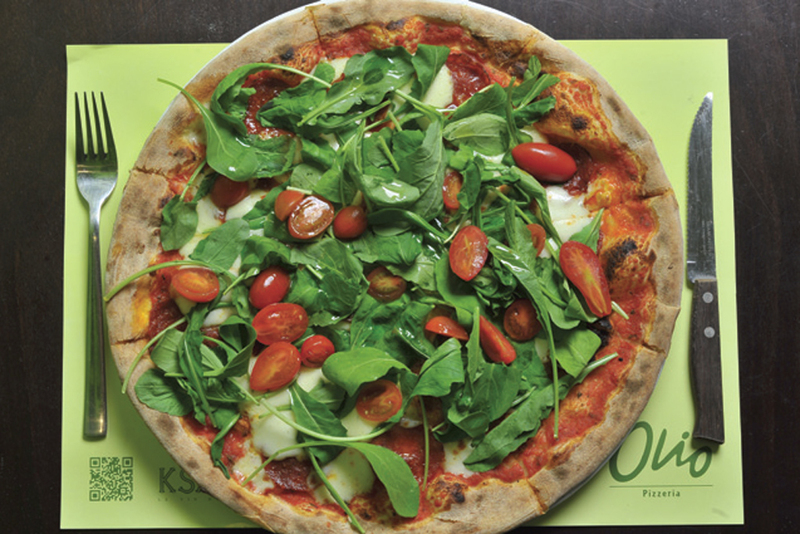 Olio has a number of branches across the city, all of which serve quality Italian food with a focus on pizza. The chain has proliferated with dizzying speed in the last few years, filling the gap for reliable, fairly priced Italian fare in Beirut's foodie scene. The experience is more or less standardised across the different venues: attractive decor, moody lighting, succulent dishes, a wood-burning stove, a ring of authenticity. 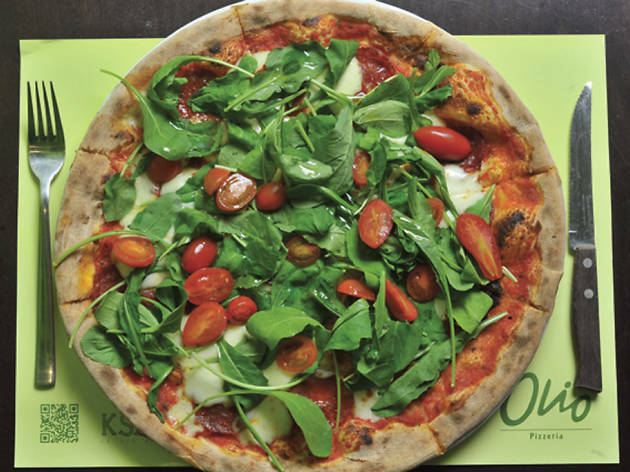 Where the Hamra branch edges the others is in the warmth of the service: the genial waiters will be quick to help you navigate the menu of salads, bruschetta and thin-crust pizzas. 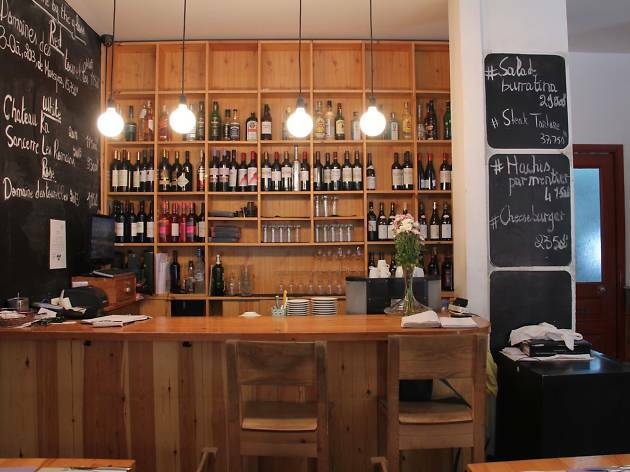 We recommend anything with seafood, which it does especially well – perhaps unsurprising, once you realise that each Olio shares floor space with a branch of Soto Sushi. 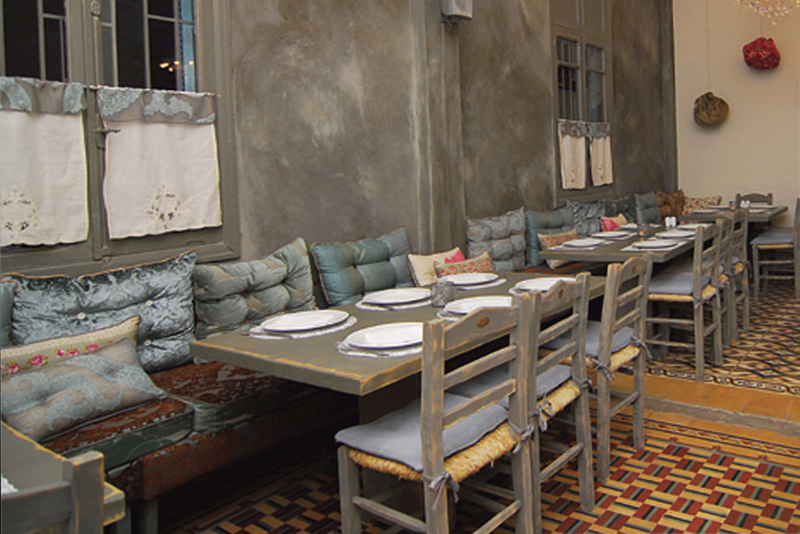 The plethora of home-cooked dishes at one of Beirut’s best Armenian restaurants, tucked away on one of Mar Mikhael's back streets, make for a memorable meal indeed. This is the real deal: as Grandma Seza diligently prepares generations-old recipes in the kitchen, the rest of the family tend to the dining area, which is decked out like the front room of a bustling Armenian family home. For the warmer months there's also a luscious covered terrace, decorated with lights. Just like Lebanese mezze, Armenian food is great for sharing: the kavurma (a sort of braised lamb casserole) and frike stew are two of our favourites. 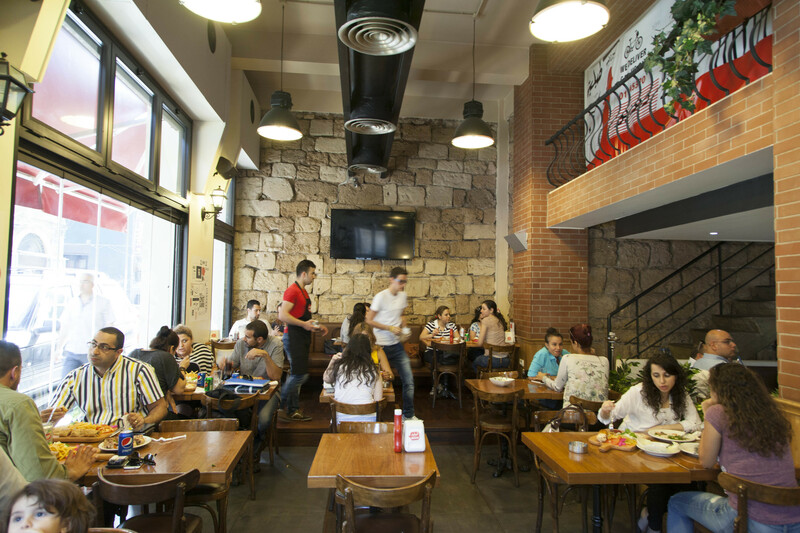 There are cheaper Armenian restaurants in the city – many of them just down the road in Bourj Hammoud – but most lack the cheery domestic charm of Seza. Every good shogun knows that you don't get to rule Japan without taking a hearty evening repast every day. The team behind The Shogun Lounge also know is that Beirut is short on decent, independent Japanese restaurants that don't cost a bomb. Enter The Shogun Lounge, a sleek, trendy Downtown joint that combines sparse Muji-esque decor with a solid menu of traditional Nipponese cuisine. On the menu, you’ll find enough varieties of maki and nigiri sushi to sate the most rabid pescatarian. The restaurant also offers a number of other traditional Japanese dishes – teppanyai, teriyaki, tempura – to ensure that those who prefer their meals cooked don't get a raw deal. Stove concentrates on its menu rather than on faddy concepts, and there's a refreshingly no-nonsense aspect to the place. Elegant, sophisticated French food is the order of the day – think along the lines of pan-fried forest mushrooms, caramelised pork fillet and salmon in a cream sauce. The interior is tastefully decked out in plain cream and mahogany hues, though there's a lingering grandeur in the columns and vaulted doorways of the building, formerly a residential villa. The garden dining area is one of the city's loveliest. 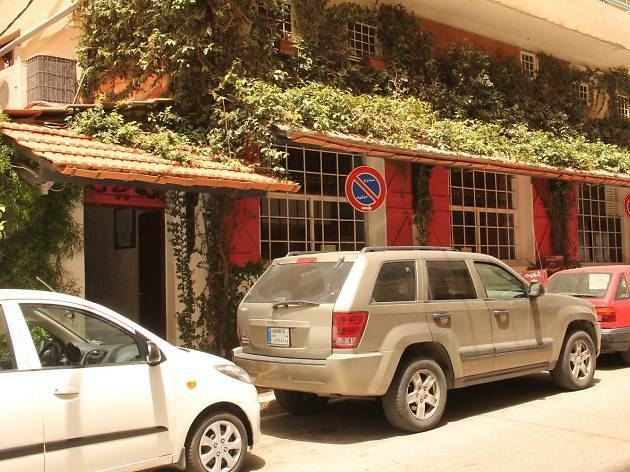 As with many of Beirut's French restaurants, the prices aren't exactly rock bottom. 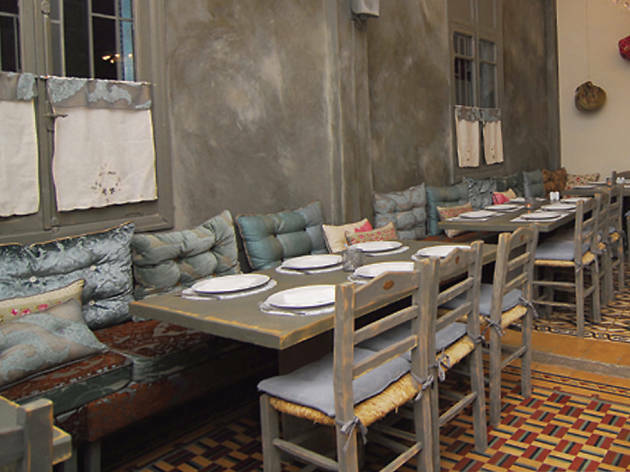 SUD is a restaurant moulded in the image of its area, the irrepressibly trendy Mar Mikhael. Before you settle down in the restaurant, head up to the stylish rooftop bar and enjoy one of the yuppie-friendly speciality cocktails as you watch the sun dip behind the skyline. Once adequately sated, head back downstairs to the restaurant, which comprises a smart indoor area centred on an open kitchen and a neat little flagstoned terrace. 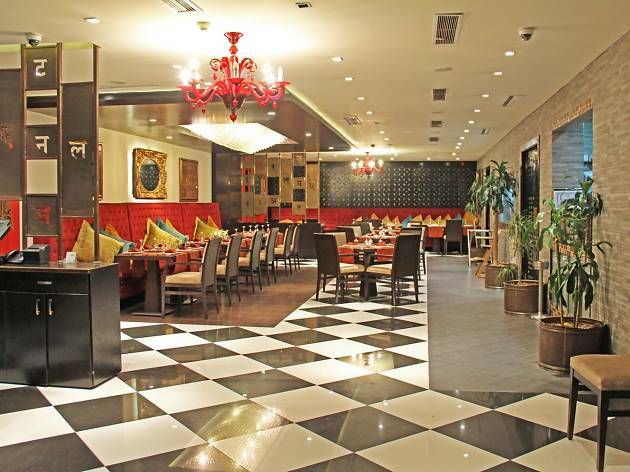 The cuisine is delectable Mediterranean fusion fare, with grills, tapas and pizzas all on the menu, and all served up with flair. The bar handily extends downstairs, saving you the stairs and the risk of incurring a stitch if you're after a post-prandial cocktail. Stop eating. Keep it that way for the next 24hrs. Are you on the verge of collapsing? Now go to Tawlet. 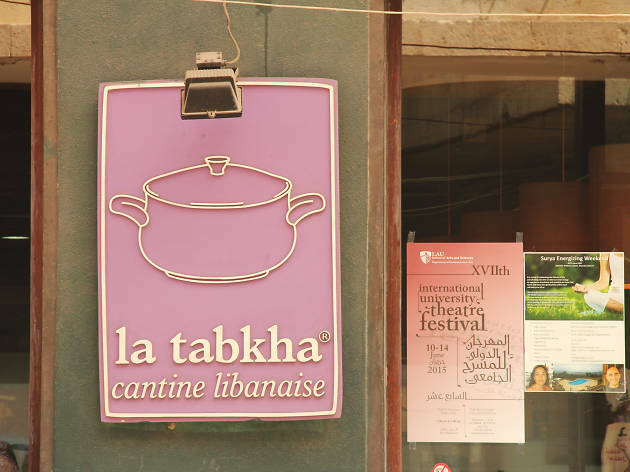 Originally a part of Souk el Tayeb, an organisation that promotes Lebanon's independent farmers and producers, Tawlet has evolved into a restaurant in in itself. The concept is in the same spirit as the Souk. 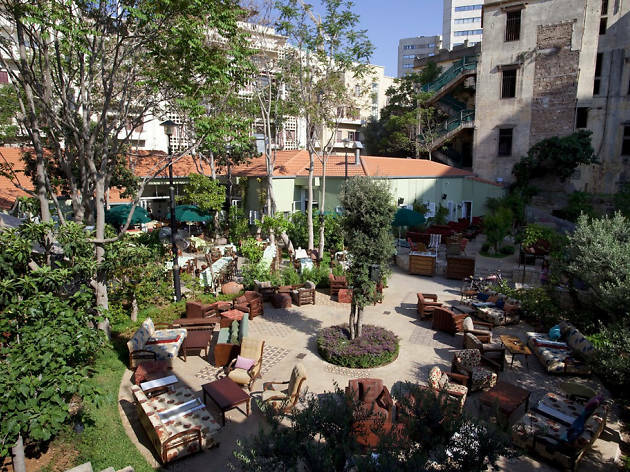 There is no menu: just a daily smorgasbord of traditional Lebanese dishes prepared by farmers from all over the country, who rotate throughout the week. There's only one option: an all-you-can-eat buffet, which comes in at LL40,000 per diner.Community is the watchword. There's no intimate dining experience here: you help yourself to the food then plonk yourself down at one of the large communal tables. The sheer variety of lovingly prepared dishes is enough to fire up the most sated stomach, but our advice is to take it easy, and attack the buffet a few small portions at a time. The cooks are on hand to give some context: the genesis of the recipe where the ingredients are sourced, which markets to head to if you want more. 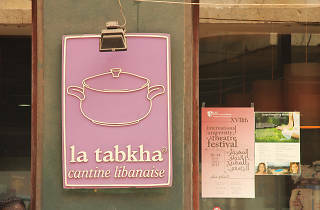 The mission is as much pedagogical as gastronomic, and it's no surprise that Tawlet offers cooking classes on the side. 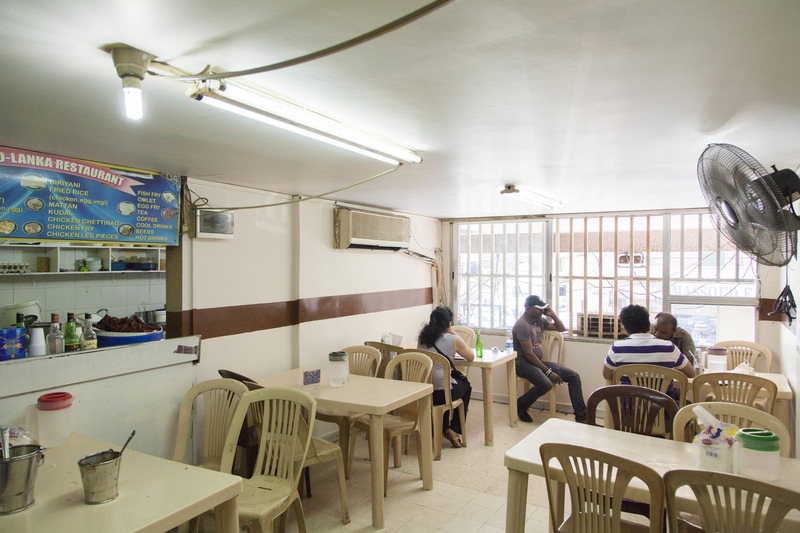 On first impressions Tabliyit Massaad (also known as Massaad Express) does have the mien of a fast food restaurant, with its bright lights and gaudily hued walls – but you’d be wrong to dismiss it as such. This popular chain is cheerful and certainly cheap, but the epic sandwiches it serves up on its trademark wooden boards (the Tabliye that give it its name) are a cut above your average street fare. The recipes come with unexpected grace notes (toasted sesame seeds, anyone?) and the portions are filling, whether you opt for a simple sandwich or the entire platter (which includes fries and coleslaw). 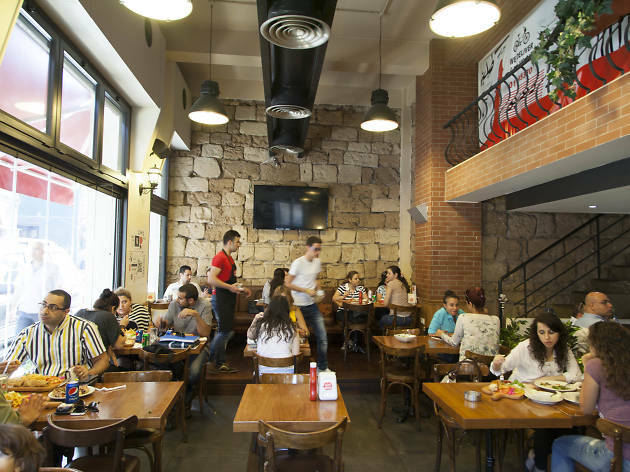 The recently opened Gemmayzeh branch handily saves Beirutis on a post-booze sustenance mission the trouble of venturing out to Zahle.